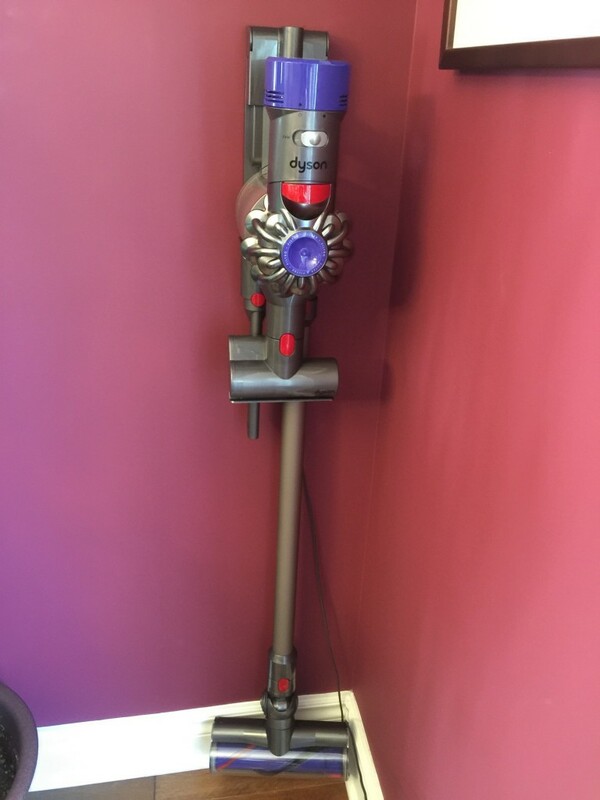 It’s no secret that here at Casa Toledano we are fans of Dyson. We’ve had the Dyson Ball for years and we love it. 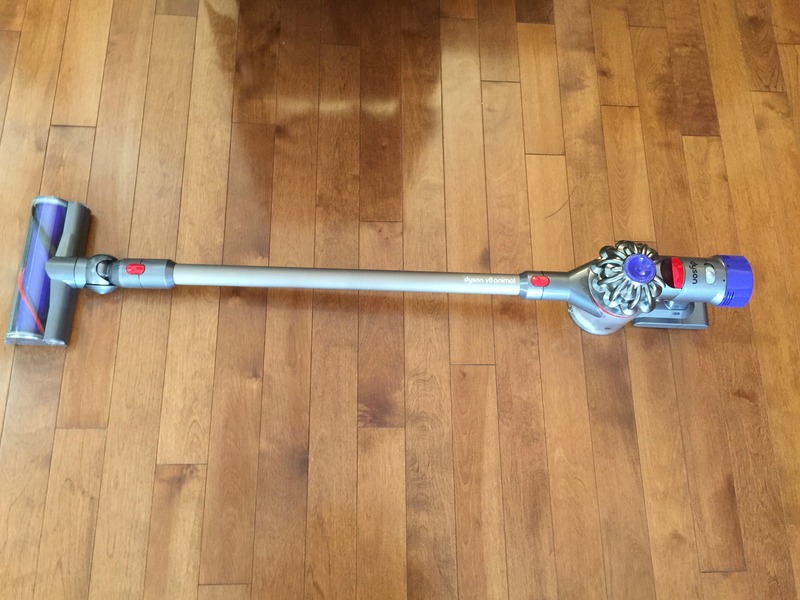 When I was offered the Dyson V8 Animal to review, I was actually THRILLED. Rather that give you a whole long story, I am actually going to cut to the chase and tell you why I truly believe the v8 is the PERFECT vacuum cleaner. I want you to know that I don’t share these points lightly. Our family has been test-driving the V8 Animal for 3 months because I wanted to make sure that the unit would continue to perform. I also wanted to see how exciting it would still be to use it after the novelty wore off…( PS It didn’t wear off!). 2-It can be used on ALL SURFACES: Carpet, wood floors, tiles, fabric & leather furniture, walls, ceilings…pretty much everything! I love this aspect and I have to tell you that whereas in the past we often swept the living room & dining room wood floors, I now ‘Dyson’! 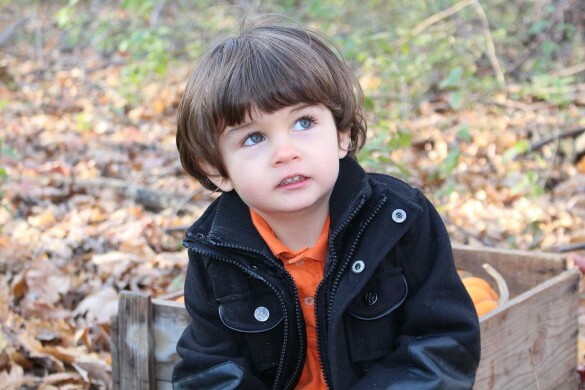 ( Yes, ‘Dyson’ has become a verb in our home). 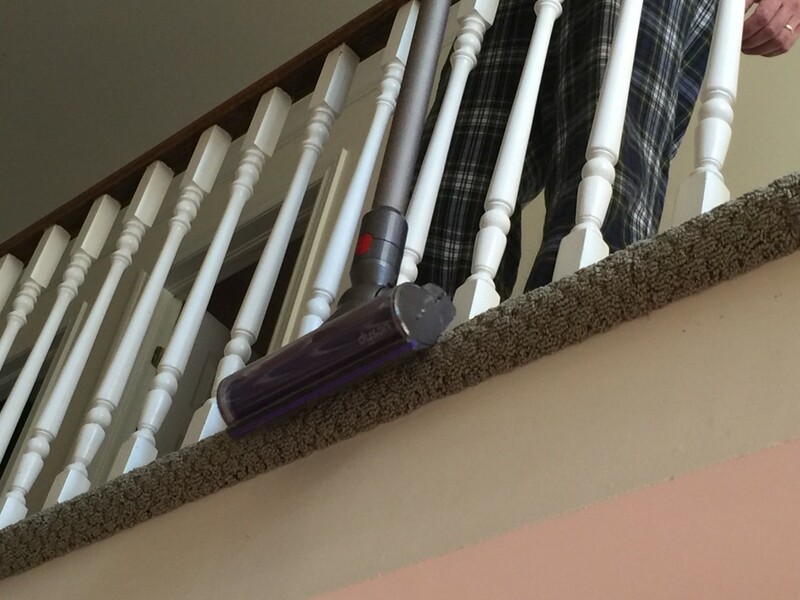 It’s just as easy to grab the cordless V8 Animal as it is to grab the broom. The difference is that with the V8, I get to skip the whole ‘bend & sweep it into the dustpan’ process. Note: I find my V8 Animal is fabulous on multiple surfaces. 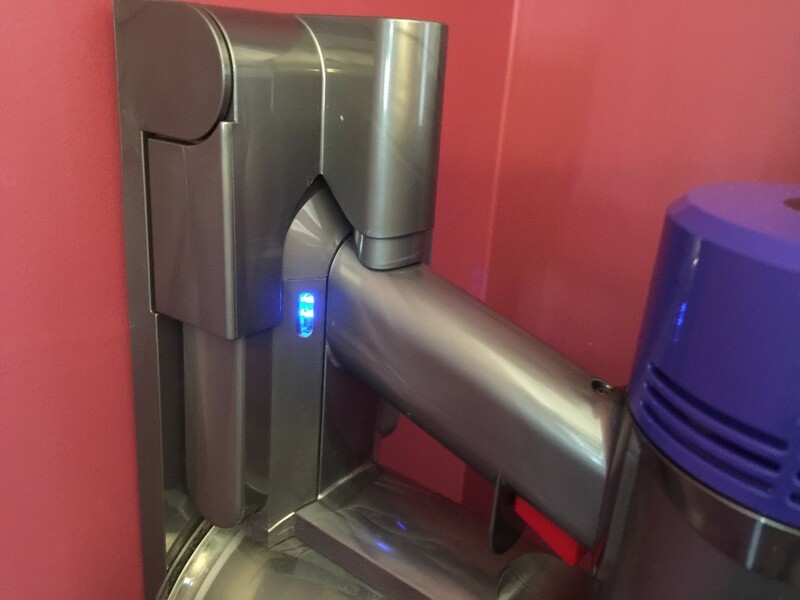 That said, you may want to know that the Dyson V8 Absolute has an additional attachment built especially for hard surfaces. While I have yet to have a problem with my V8 Animal, if you are looking at the Dyson Cordless line, you should know that this option is available as well. 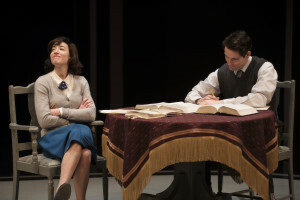 3-It’s LIGHT: That may sound crazy, but the whole ” I don’t want to go drag the vacuum and then put it away “ thought process – well, it just doesn’t happen. The Dyson is not a ‘shlep’, it’s a pleasure! I want to add that I have often thought that this unit would be PERFECT for seniors who have reduced energy. 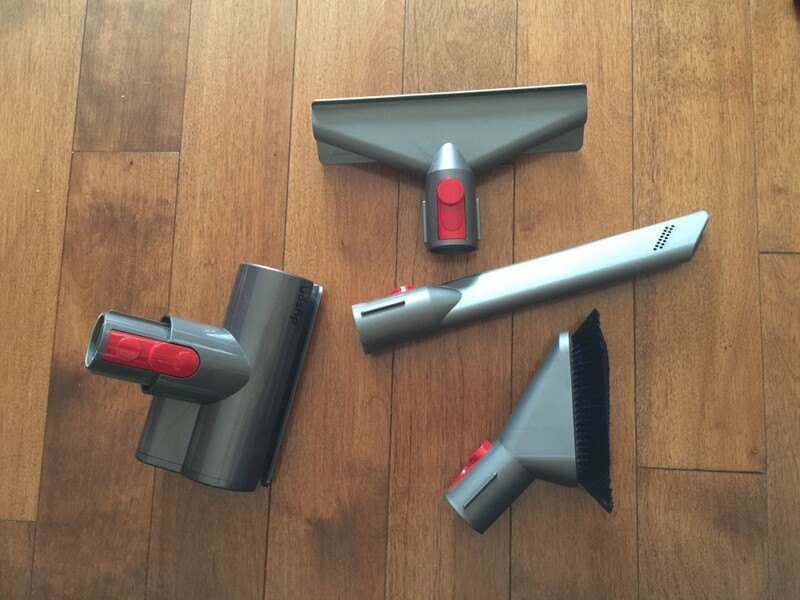 The fact that it is light (as far as vacuums go), easy to use, and extremely versatile make it simply perfect for everyone, but for those of you with aging parents that you worry about….I’m not kidding, this would rock their world. 4-Did I mention that it’s CORDLESS?!? 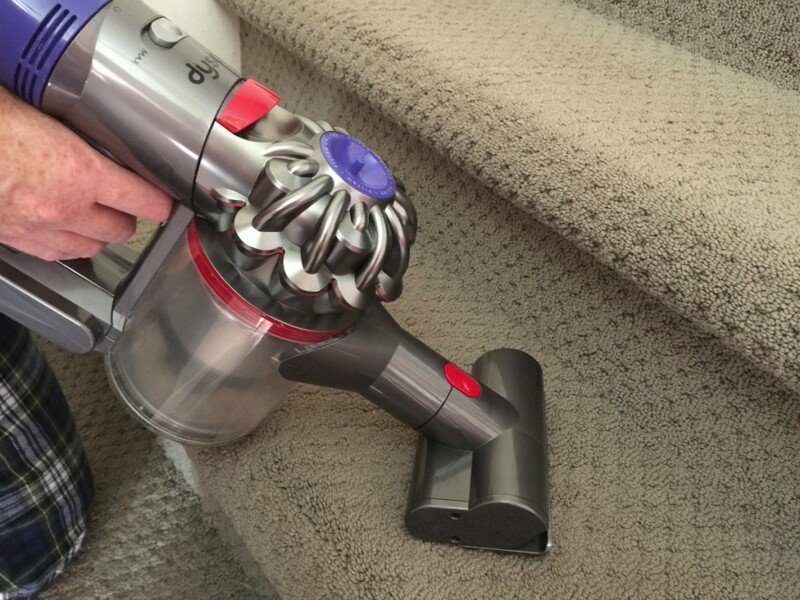 : I never would have imagined HOW life altering a cordless vacuum would be. I mean if you think about it, what’s the big deal about plugging in a vacuum? 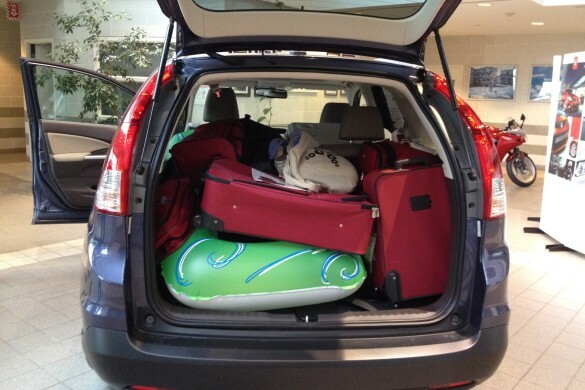 The cord is super long and you go where you need to go. Sure, sometimes the cord gets tangled, but is it really a big deal? Ummm, how shall I say this? Once you’ve gone cordless, you realize that YES, it is a big deal. I know it sounds ridiculous, but if you’ve done it, then you know what I mean. The freedom of being able to vacuum wherever you want- whether a large or small area, without regard as to where the nearest plug is…There’s a freedom to it. You have freedom of movement, freedom from wires ( electrical cords) …and it’s literally a freeing experience. 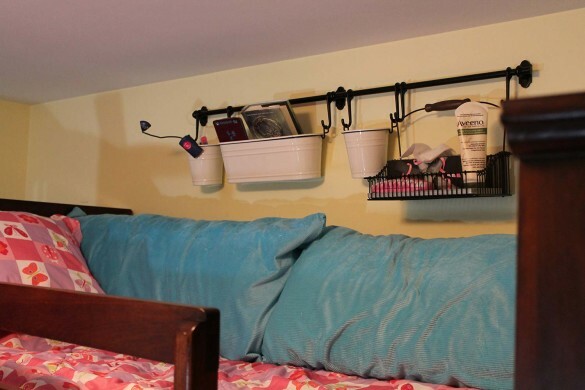 Cleaning is no longer a daunting task. It’s just something you do…quickly…and move on with your life. 5-Emptying the canister is a breeze. All you do is place the canister over the trash bin, lift the lever and dump. That’s it – That’s all. Sometimes you may find you missed the trash bin by an inch, so some of the debris falls outside the bin. You know what you do? 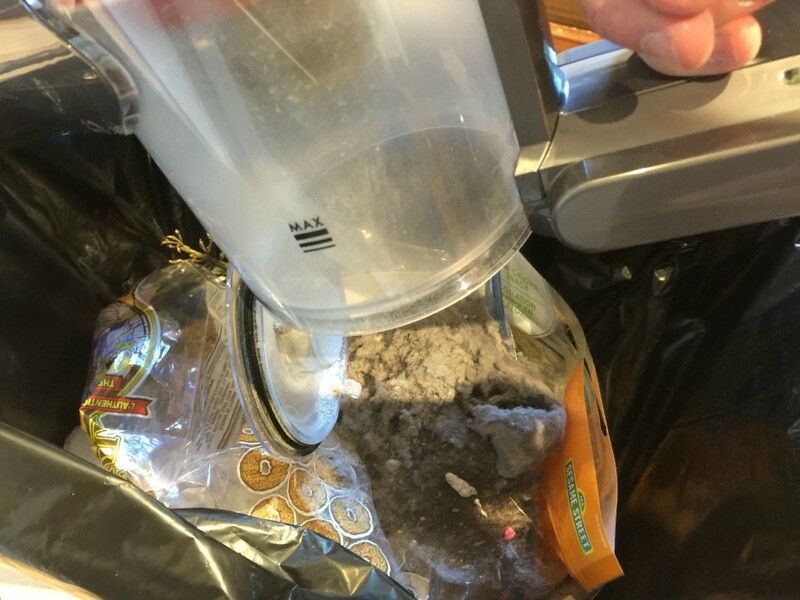 You just close the canister, vacuum up your little accident and dump it out again. Done. Move on. 6- Cleaning is a pleasure. You may already know what I’m talking about. Although I am not someone who loves to clean, there are some times where cleaning with a certain product or device is actually fun…addictive even. This is one of those cases. 7- Suddenly everyone wants to help. Not kidding. My kids actually fight over who gets to “Dyson” ( like I told you, it’s actually a verb in my house now). My concern is always that they will break the unit, but they haven’t yet. Bottom line: everyone wants to help. 9- You can Switch attachments with a simple ‘click’. 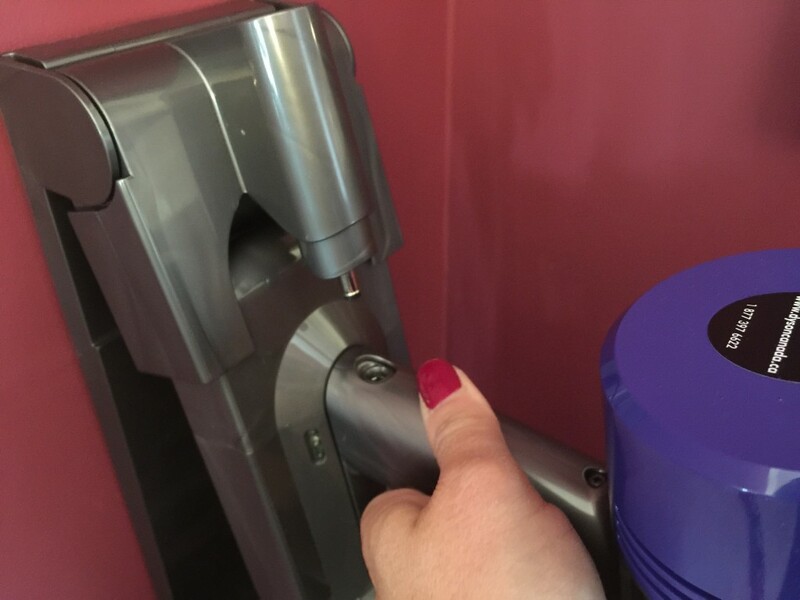 Because Dyson’s designs are always fabulous, a change in attachment is a simple ‘click’ away. 12 – Numbers 10 & 11 above means it saves you space and money I cannot overstate how versatile this machine is and what a difference it has made in our home. And yo really don’t need to have multiple machines- you can have just this and it will do the jobs…all of them! 13- It has staying POWER. Apparently the V6 is almost as fabulous but the battery doesn’t last as long. Allow me to say that we did not once run out of battery in the 3 months we used the unit. The battery is built to run for 40 minutes ( more than enough for most cleaning purposes and up to 7 minutes on MAX ( but like I said, you don’t need MAX for all of your jobs. 14- It’s a ‘Cobweb Catcher’. Because it is so light, it’s easy to raise the unit and reach the ceiling to get those annoying cobwebs…and anything else on the ceiling! 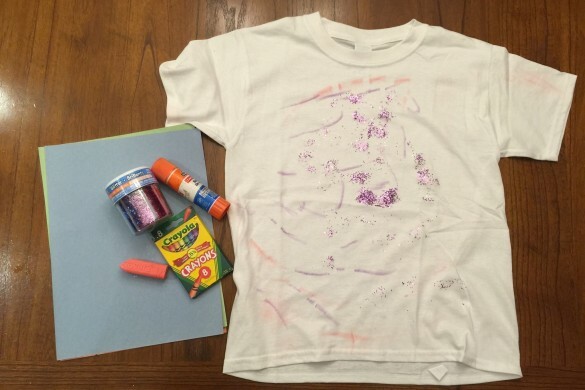 15- It’s aesthetically beautiful. It may seem insignificant, but actually, it means you don’t feel it needs to be hidden away somewhere, and when you’re willing to keep it within sight, you’re likely to use it more! 16- It stores neatly. I LOVE the docking station design and the fact that it charges as soon as you click it in. ( See the blue light?). 17- Overall, it’s simply BRILLIANT. It’s as if the folks over at Dyson discussed every frustration that anyone who ever vacuumed had, and addressed all of them all by making the perfect machine. Wait a minute…did you know they actually do that? 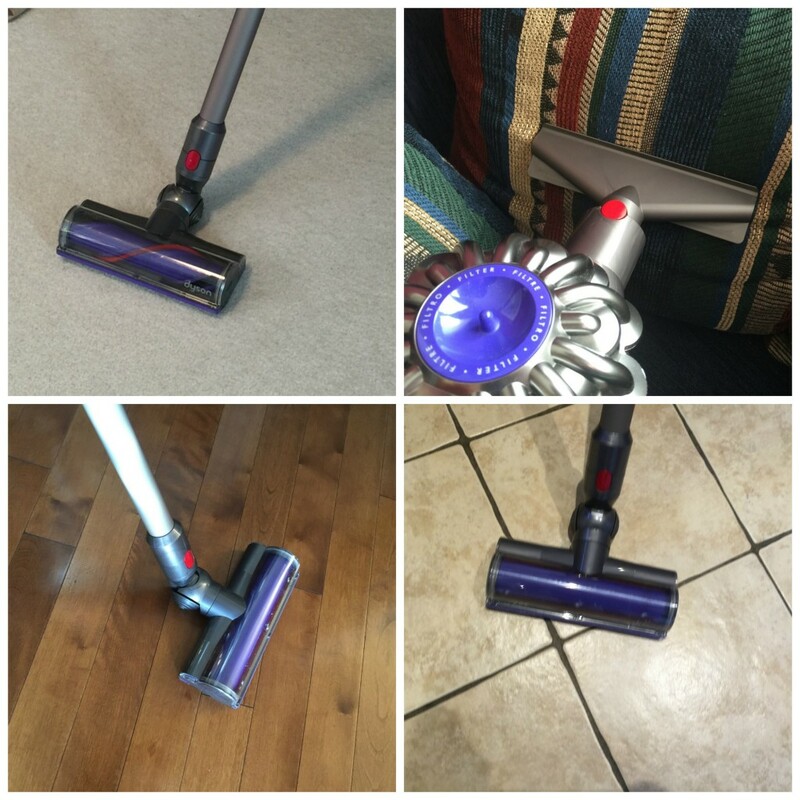 I learned straight from Dyson that they look at all customer feedback and use it to improve each and every model. Well, it worked! I tried to think about how I might improve this thing and the only thing I came up with was that I wish there were some storage unit for the attachments. (You can actually get 2-3 attachments up on the docking station depending on how you organize it, but it still leaves you with an extra 2-3 to store elsewhere. ) Seriously though, they seem to have thought of everything else! 18- It’s WORTH IT… and YOU are, too. I KNOW that everyone is going to ask me: “Bottom line – is it worth it?” And I also know that my answer is going to be, hands down, unequivocally, YES. The Dyson V8 Animal is the PERFECT household tool. The fact that it can clean up multiple surfaces has changed my world. The fact that it is light and easy-to-use makes everyone want to help out. The Dyson V8 Animal is an investment in more than just a good machine. 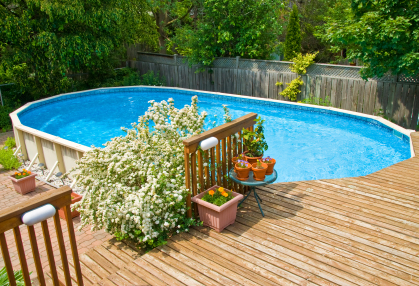 It is an investment in your own energy preservation and your stress-management plan. Let me tell you that if the kids are on board, helping with the cleaning, then you may be even be able to save on cleaning services if you use them. 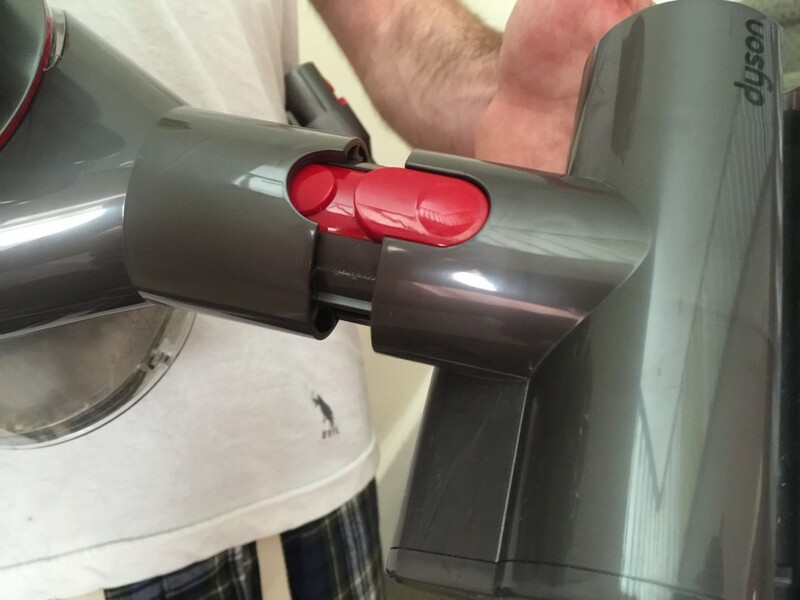 The Dyson V8 has helped saved my family energy, time & money – all VALUABLE resources that are in short supply. Try putting a price tag on these things and you’ll see just how ‘worth-it’ the Dyson V8 Animal really is. If you are looking for more technical details on the V8 Animal, you can visit the Dyson website by clicking here. 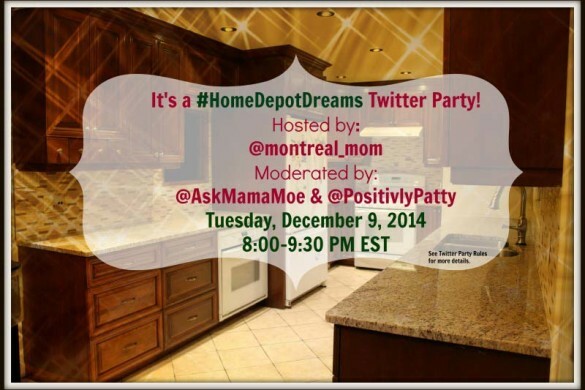 #HomeDepotDreams – It’s time for a Twitter Party!! !